Uttar Pradesh Rajya Sabha Election: The BJP is assured of victory for eight of its candidates from Uttar Pradesh, including Arun Jaitley. Uttar Pradesh Rajya Sabha polls: Uttar Pradesh today decides on 10 of 31 Rajya Sabha seats. 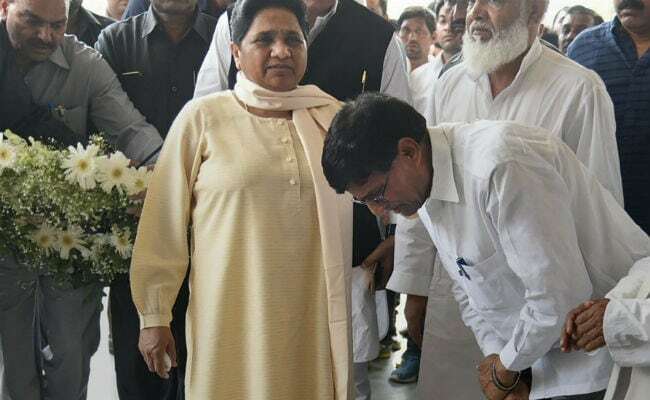 Lucknow: The Rajya Sabha elections underway in Uttar Pradesh got tighter after a legislator from Mayawati's Bahujan Samaj Party (BSP) claimed that he voted for the BJP. This morning, Anil Kumar Singh, a BSP leader, came out after casting his vote and told reporters that he has cross-voted for the BJP-backed candidate. The leader from Mayawati's party came out and declared, referring to Chief Minister Yogi Adityanath: "I am with Maharajji." The Rajya Sabha elections in Uttar Pradesh are happening close on the heels of the BJP's bypoll humiliation in the state. However, the BJP is attempting to turn the narrative in the state by capturing an extra Rajya Sabha seat from India's largest state. The BJP is assured of victory for eight of its candidates from Uttar Pradesh, including Finance Minister Arun Jaitley, whose term from Gujarat is coming to an end. With surplus votes after electing these eight, the BJP has put up a ninth candidate - businessman Anil Agarwal. He will go up against the Bahujan Samaj Party's Bhim Rao Ambedkar. The Samajwadi Party has the votes to re-elect its current Rajya Sabha MP Jaya Bachchan and has said it will transfer its surplus votes to the BSP candidate, who also has the backing of the Congress Party. Presently, the BJP has 58 Rajya Sabha MPs. The BJP candidates in the fray from UP are Union finance minister Arun Jaitley, Ashok Bajpai, Vijay Pal Singh Tomar, Sakal Deep Rajbhar, Kanta Kardam, Anil Jain, Harnath Singh Yadav, GVL Narasimha Rao and Anil Kumar Agarwal. The counting will now start only once the Election Commission has given a clearance, says news agency ANI. Counting stopped in UP after complaints by Samajwadi Party, BSP against lawmakers who cross-voted. The parties say that those who cross-voted did not disclose their ballots to the counting agents of the respective parties which is the norm. Congress lawmaker Anila Bhediya has been accused of disclosing her vote cast in a secret ballot by BJP candidate Saroj Pandey's voting agent, news agency IANS reported. The contest in one of 10 Rajya Sabha seats in Uttar Pradesh was set to go down to the wire as the BJP worked to upstage the Samajwadi Party and Mayawati, who joined forces to defeat the ruling party in two of its key parliamentary strongholds. 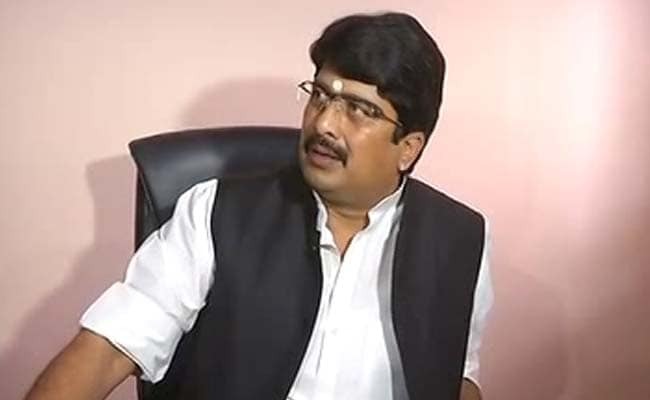 Independent legislator Raghuraj Pratap Singh alias Raja Bhaiya, who was cabinet minister in Akhilesh Yadav's Samajwadi Party regime spoke to reporters. "My vote is with Akhilesh ji", he said. Two jailed lawmakers - one each from the SP and BSP - who would have voted for the BSP candidate, are out for the count. Two independent candidates are likely to vote for the BSP candidate. 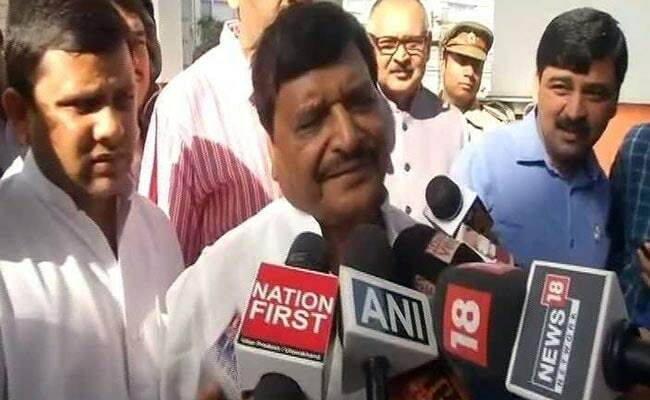 "There will be no cross-voting, but yes, BJP MLAs will cross-vote in our favour," Samajwadi Party leader Ram Gopal Yadav told ANI. Uttar Pradesh Rajya Sabha Elections 2018: Voting will be held till 4 pm and counting will be taken up an hour later. 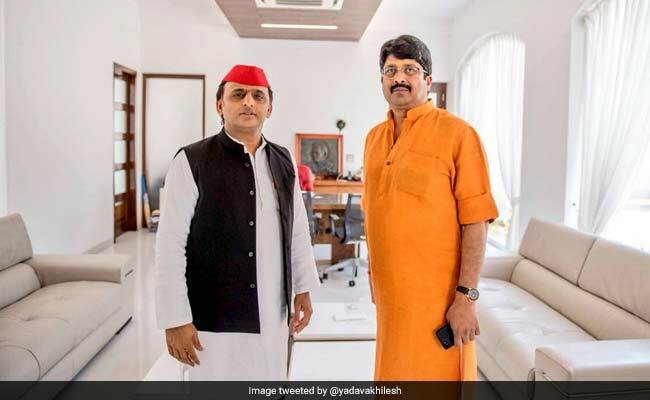 Anil Singh met Uttar Pradesh Chief Minister Yogi Adityanath last night after attending his party boss Mayawati's dinner, reports NDTV's Alok Pandey. I have voted for BJP, I don't know about the rest: Anil Singh, BSP legislator. He said he is with "Maharaj ji"
The contest for 10 Rajya Sabha seats in Uttar Pradesh was set to go down to the wire today as the BJP worked to upstage the Samajwadi Party and Mayawati, who joined forces to defeat the ruling party in two of its key parliamentary strongholds. Finance Minister Arun Jaitley and BJP spokesperson GVL Narasimha Rao are among the BJP candidates guaranteed to win. The Samajwadi Party has fielded actor-turned-politician Jaya Bachchan in the one seat it is sure to win. "Samajwadi Party candidate Jaya Bachchan ji and BSP candidate whom we are supporting will win RajyaSabha Elections. 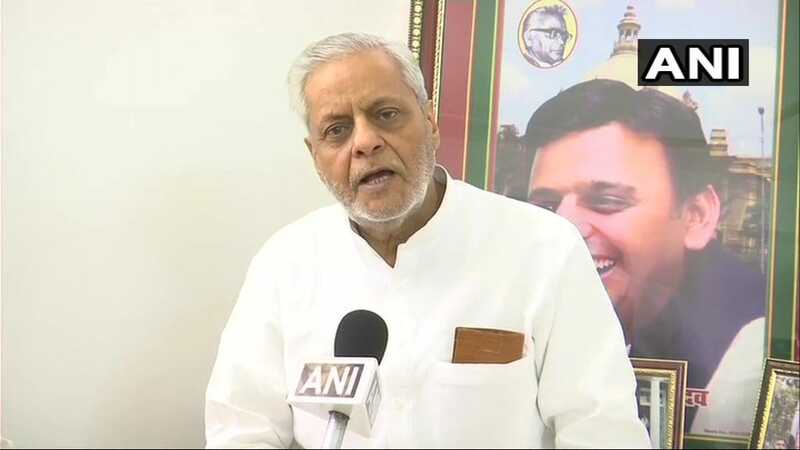 Considering BJP's condition, I would say that its own MLAs are annoyed, some of them may even end up siding with the opposition," says Rajendra Chaudhary of the Samajwadi Party. All the 7 Congress legislators have voted for the BSP candidate. Samjwadi Party chief Akhilesh Yadav's estranged uncle Shivpal Yadav outside the Uttar Pradesh state assembly this morning. Uttar Pradesh Rajya Sabha Election: Samajwadi Party chief Akhilesh Yadav gathered his flock for dinner one more time last evening. After getting estranged uncle Shivpal Yadav on his side on Wednesday, Akhilesh Yadav got his sulking father Mulayam Singh Yadav to attend yesterday's meet. SP is sure to win one of the 10 seats but it is anxious about being able to keep up its deal with Mayawati after winning bypolls with her support. The voting in the Rajya Sabha elections has begun.